The 2018 Jaguar F-TYPE R is packed with some of the most dynamic driving technology available today, ensuring that you have the performance and the handling that rivals the titans of racing ingenuity. This two-door coupe channels its inner racecar with its supercharged 5.0L, V8 engine and 8-speed automatic transmission, generating an immense 550-hp and 502 lb-ft of torque that will readily be under your command. No matter what situation you find yourself in, the specially designed Sport-Tuned Adaptive Suspension and Full-Time AWD system will keep you in full control of the F-TYPE and its exceptional performance. You can even determine what type of driving experience you want to have in the F-TYPE R, thanks to its built-in driver selectable mode transmission allowing you to personalize the performance for your unique tastes! 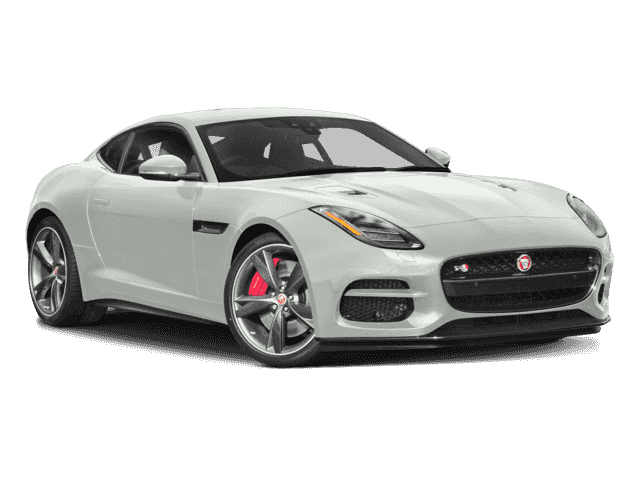 Jaguar Colorado Springs currently has one 2018 F-TYPE R in our inventory, with its beautiful white exterior and loaded suite of standard technology to go along with the exceptional performance. You do not want to miss out on your opportunity to own a two-door coupe that creates the perfect driving experience, so stop into our dealership today and find out how to make the 2018 F-TYPE R yours!